Honest Burgers has unveiled their take on Canada's signature poutine. 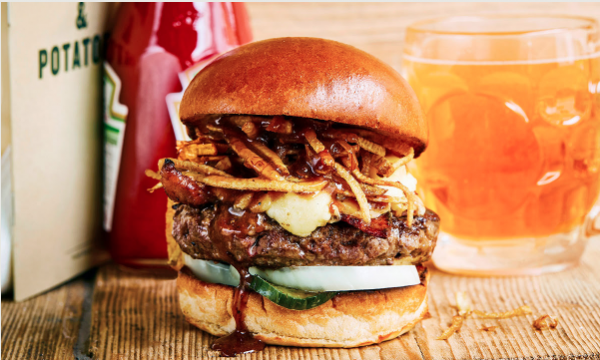 The chain's newest burger uses Westcombe Dairy cheeses from Somerset smoked over beech wood, Cornish Orchards farmhouse cider in their beef and bacon gravy and Yorkshire smoked bacon. Their take on the Canadian classic is topped off with shoestring fries, slices of white onion and pickles. The Poutine burger is only available until 24 February.